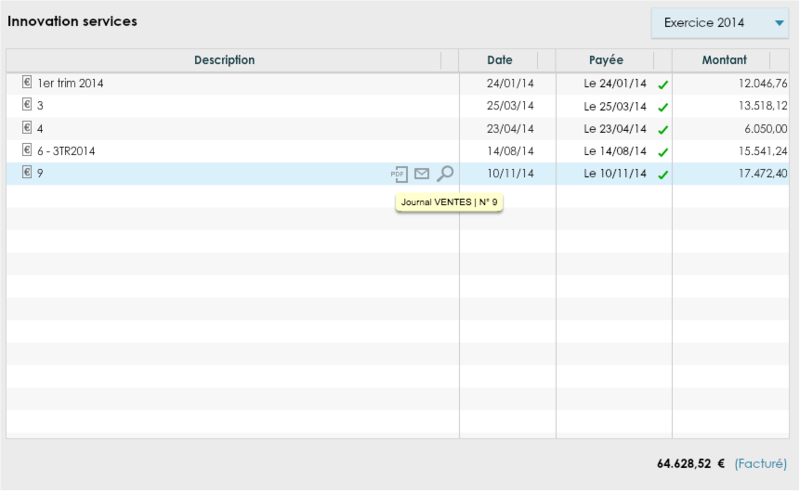 Skwarel makes it possible to find back all invoices that the accountant has encoded. You can find all the invoices by using the search bar above left. if the invoice is considered als paid in the accounting. The total amount paid over the year. The total amount left to pay. You can search trough the fiscal years if you want to find older invoices.